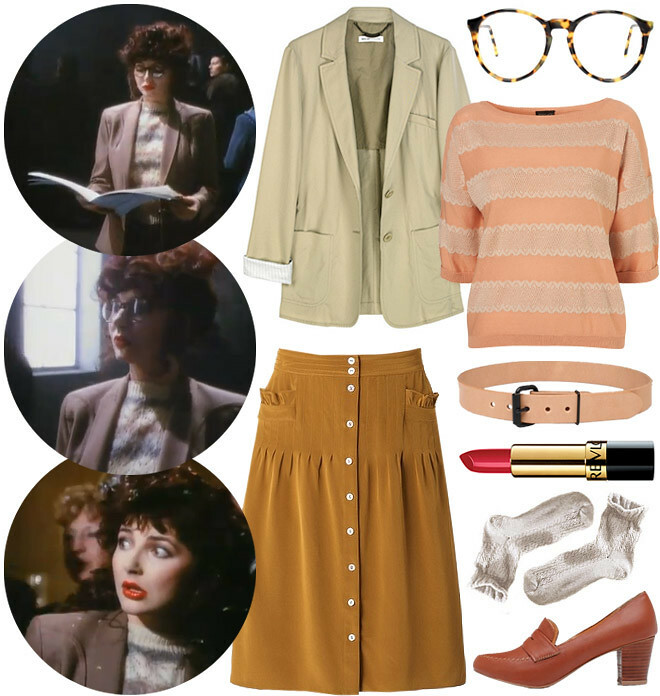 anabela of fieldguided tweeted about the music video for kate bush’s hounds of love the other day, remarking on how rad her look was (the blazer, the hair, the lips) and if i could make it current. challenge accepted, anabela. this is sort of contemporary take on kate’s whole country librarian look. so many girls are actually rocking this vibe these days, which is rad. i had to make the lipstick revlon – what kind of eighties girl wouldn’t have used revlon, right? you can’t really see her skirt or shoes in the video, but i think this is a pretty fair interpretation. diana! you have no idea how much I love this video clip. My other favourite is her “Running up that Hill” video clip and the one for “Cloudbusting”. So cute — love the ruffle socks! I LOVE kate bush! i grew up listening to the whole story – isn’t she amazing?? Thank you for doing this! Oh man, that blazer is perfect. Amazing! Love these picks and especially the color scheme. Love Kate Bush, one of my favorites from hers is Army dreamers. What a great song! kate bush is all kinds of awesome. Ra Ra Riot does a great cover of that song too. A great post! I had the cassette of Kate’s greatest hits when I was in college, and nowadays it’s on my iPod; she’s still fabulous! man, so many kate bush fans! i must admit that i’ve never really listened to her (shameful?) – apart from her duets with peter gabriel (who i love)… yes. must fix that.